Learn all about Brian Halligan's experiences and tips for cultivating an award-winning company culture. 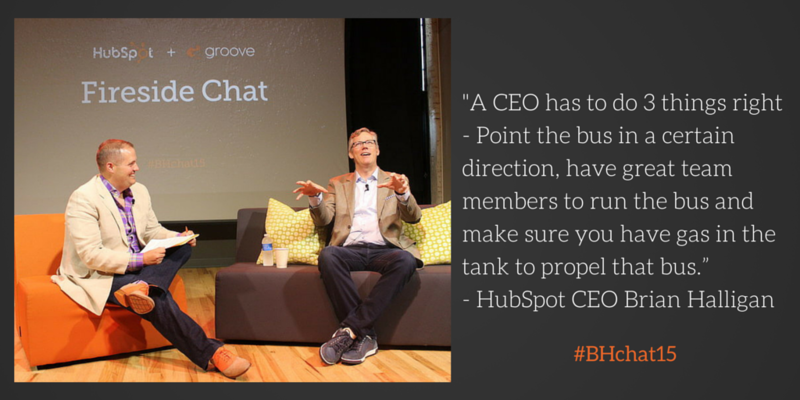 Last week, HubSpot co-founder and CEO Brian Halligan, came to share his business insights at Groove. At this exclusive event for more than 100 Baltimore business leaders from various industries, Brian shared not only his experiences about the HubSpot software and the future of his company, but also how its unique company culture took shape. Brian spilled his secrets to cultivating an award-winning company culture and I’m ready to reveal them to you. Today, HubSpot has over 800 employees and has accumulated over 15,000 customers across 90 countries. In 2014, Brian helped launch HubSpot’s impressive IPO, raising $125 million in fresh capital and leaving the company with a market valuation of $880 million. Brian said "a CEO has to do three things right: Point the bus in right direction, have great team members to run the bus and make sure you have gas in the tank to propel that bus forward.” He also elaborated that a CEO should let the bus run and stay out of the way of where your team takes the bus. A business is ultimately successful because of it's leaders and employees working together as a team to accelerate the success of the business and how it evolves. He pointed out that their needs are constantly changing and that while most “people say do one thing and do it well, we did the complete opposite.” Understanding the needs of your customers is where the real opportunity lies. We ended the Fireside Chat discussing the future “State of Marketing.” Brian summarized that most companies resort to the way their marketing as always been done. 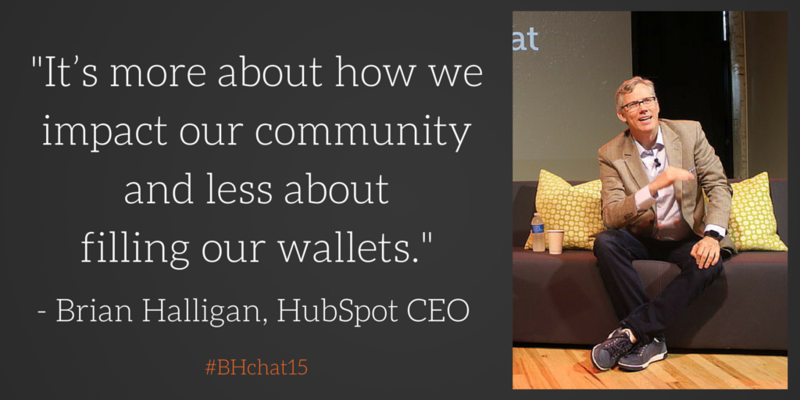 Interested in learning more about HubSpot or Inbound Marketing? Reach out to us today! We’d love to share our knowledge and experiences with you.